Radio pouches can be an exercise in frustration. The majority of them seem to be built specifically to prevent you from actually operating the radio. That doesn’t appear to be the case with the ITS 10-4 Radio Pouch. It has several interesting access, retention, and mounting features that keep your radio close at hand and usable. 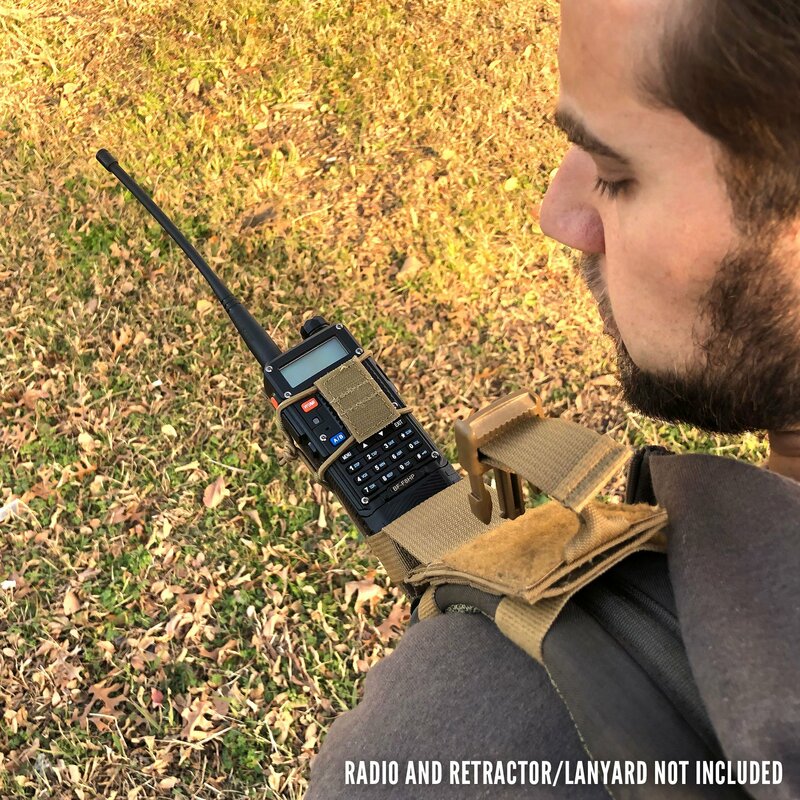 Our ITS 10-4 Radio Pouch™ is lightweight and skeletonized, offering rapid acquisition, the ultimate in retention and multiple mounting methods for Baofeng UV-5R style radios (transceivers) with extended batteries. The 10-4 Radio Pouch™ doesn’t impede any functional operation of your Baofeng radio, leaving buttons and ports available for use. While it’s possible that other radios on the market of similar size can be utilized with the 10-4, we can’t guarantee the fit. Please refer to the dimensions below for specifics. Our patent-pending 4-Way Mounting System™ allows you to mount the 10-4 Radio Pouch™ vertically on a duty belt, vertically to MOLLE (PALS webbing), horizontally on a belt or even vertically on a backpack or chest rig strap. The mounting possibilities are truly unlimited. The ITS 10-4 Radio Pouch™ features an integrated retractor pocket, designed to hold the optional retractor/lanyard combo we offer for sale separately. Acting as a dummy cord, this retractor/lanyard combo prevents unintentional loss of your radio during removal and won’t leave unnecessary cordage hanging around. The small slide release buckle connecting the retractor to the lanyard can be disconnected for full removal from the pouch to charge your radio or hand it off to someone. Check out the 10-4 Radio Pouch at ITSTactical.com.